I find myself once again bombarded with requests for photos of my lovely daughter to appear online, and I know I'm only making things worse for myself by giving in to your incessant call for more pictures. 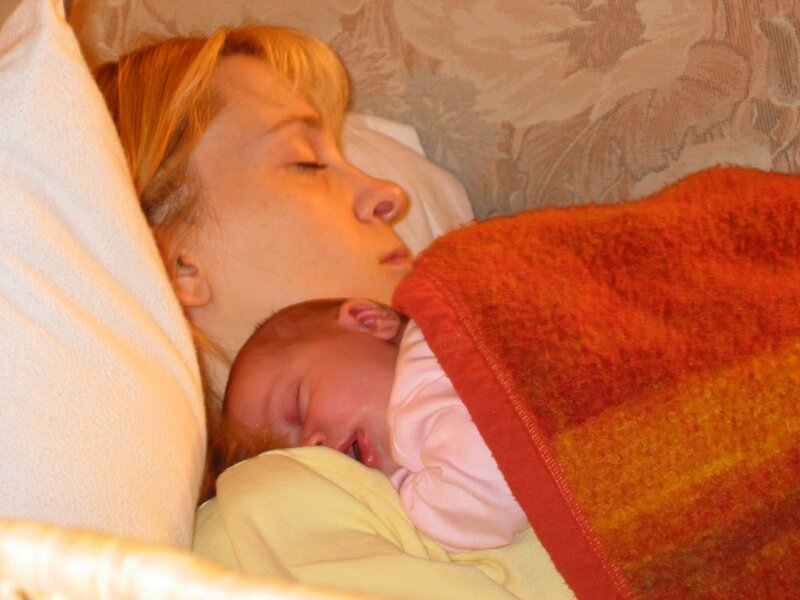 But alas, here I am succumbing to your demands: here are more photos of Janelle and her beautiful mother. We spent last Saturday night with Greg and Julie; Greg and I went out for a curry while the girls had pizza brought in. (I say 'brought in'; Julie went out and got it and then . . . well, brought it in.) Here's a lovely picture of Andrea holding Janelle and laughing at something (undoubtedly yet another humourous story that I told with inpeccable timing and delivery). I was quite glad I got evidence of this shot. 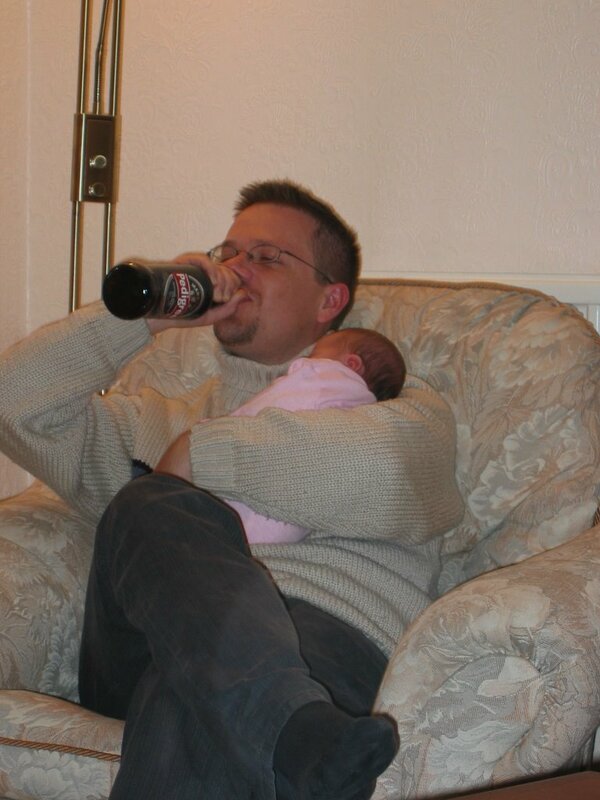 You've all seen pictures of the well-spoken Dr Greg Brown, a House Officer at the Royal Hallamshire Hospital and named 2005's most influential Sheffieldian (the award is, alas, quite dubious, but we can testify that Dr Brown is, ahem, quite influential in certain, if somewhat miniscule, circles). 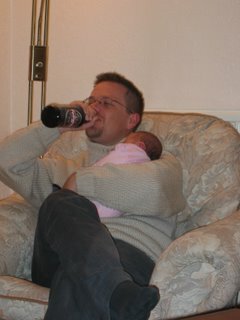 But here he is caught red-handed with my precious little girl in one hand and a bottle of finely brewed Marston's Pedigree in the other. Some of you can instantly identify why the good Doctor and I were instant friends. We are, you could say, a concrete example of the UK's and America's much-touted 'special relationship'. Moving swiftly on, we drove to High Wycombe on Sunday because we needed to be in Central London by 9:00 Monday morning. I had wanted to schedule Janelle's appointment at the US Embassy (so that we could report her birth and apply for her passport) for Wednesday, 30 November. Unfortunately, when I went online to make the appointment, I found that the next available appointment wasn't until January. Obviously that was going to complicate our plans for flying out of the UK in December, so the Embassy graciously agreed to see us on Monday, 21 November. It was quite last minute, of course, but we were glad to be able to be seen in time to ensure we didn't have to leave the UK without Janelle. (Of course we wouldn't have left her in England . . . most likely.) 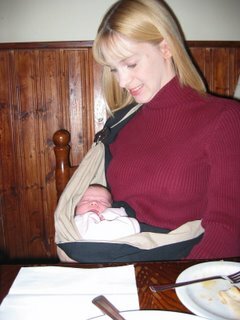 As a relatively quick aside: did you know that there are some legal complications in the instance that my baby girl would choose to run for President of the United States of America? 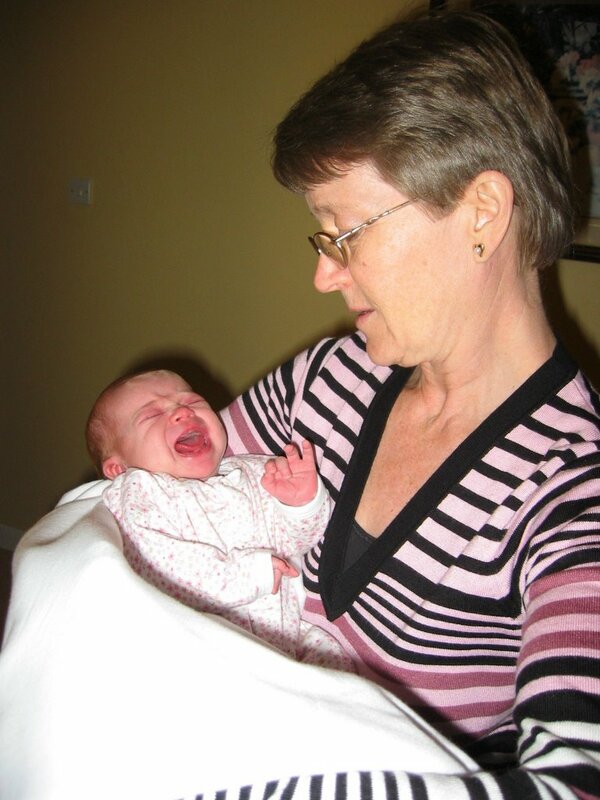 There is some legal debate about whether she is a 'natural born citizen' (I think that's the right term), and the Supreme Court has never ruled on the issue. As far as I can understand it, on the one hand both of her parents are American citizens, but on the other she wasn't born on American soil. She is free to run for Congress or the Senate (though, the flyer is quick to point out, residential requirements still apply), but there's a piece of legislation slowly oozing through Congress that would declare her (not specifically her, but natural American citizens born abroad more generally) eligible for the White House. If you have the time, might I suggest you contact your local representative on this important issue? So after we reported Janelle's birth and arranged for her passport to be mailed to us, we realised we still had half a day in Central London to do anything we'd like. We walked around Grosvenor Square (where the US Embassy is located) and came across Maze, a Gordon Ramsey restaurant. We toyed with the idea of eating here, but Janelle wasn't very impressed. 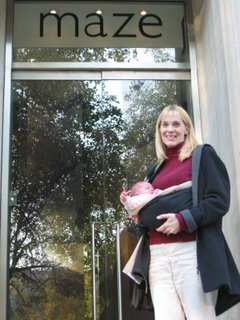 While it would have been something to say we've eaten in one of Gordon Ramsey's restaurants, we had our doubts that they would have been very keen to welcome two weary American travellers and their twelve-day-old baby. So we gave it a miss. So we walked along Oxford Street a bit, visiting a few of the shops and smelling the roasting chestnuts as an unending stream of red busses passed by. 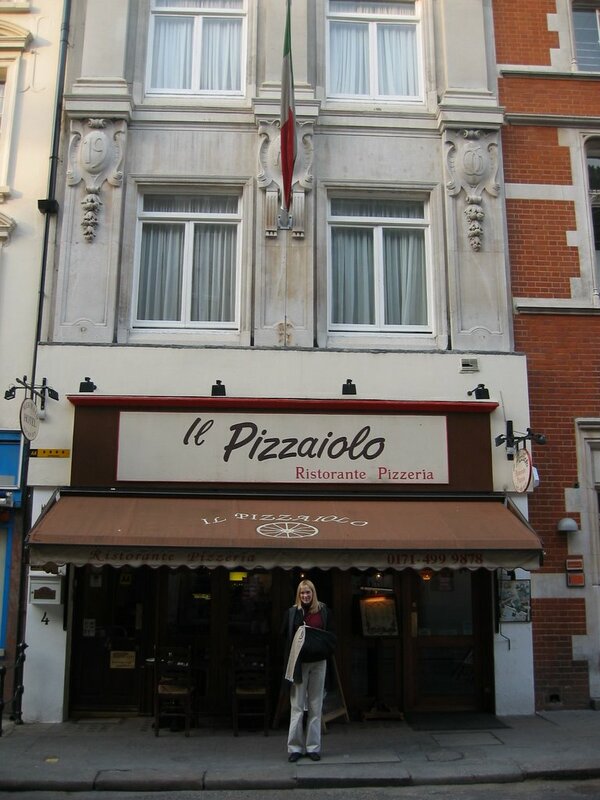 Eventually we left Oxford Street to find somewhere else to eat, and we found Il Pizzaiolo, a lovely Italian restaurant where one can overhear the staff talking amongst themselves, oddly enough, in Spanish. But nevermind, the food was nice. So this, then, represents the first time Andrea and I have been able to go out together since Janelle was born. Overall it was a good experience (and at £21.00 it was a very reasonable lunch, especially considering that we were in Central London), but as we were leaving Janelle decided to kick off and scream a bit. Andrea and I, of course, are fairly used to it by now. 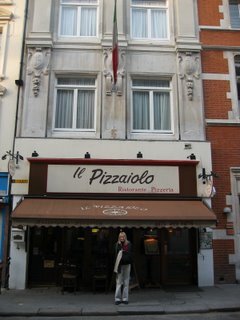 But the rest of Il Pizzaiolo's patrons were somewhat less amused and showed just a bit too much enthusiasm as we left the restaurant. Certainly the clapping was unnecessary. Nevermind, though; Andrea and I had a really lovely lunch. Needless to say, the whole trip was exhausting. It took us a little over an hour to get out of Central London and back to our car, which was waiting at a train station just outside the M25 loop. It took us just over four hours to make the drive back to Sheffield, partly because we had to stop and feed Janelle after about ninety minutes on the road and partly because it took over an hour to drive the last two miles into Sheffield. Apparently there was an accident involving a bus just at the end of the parkway leading into the city centre. Janelle, like her papa, hates sitting in traffic and spent most of the time indicating her displeasure by screaming. I was sympathetic. But we did make it home, and this picture indicates the exhaustion we felt afterwards. 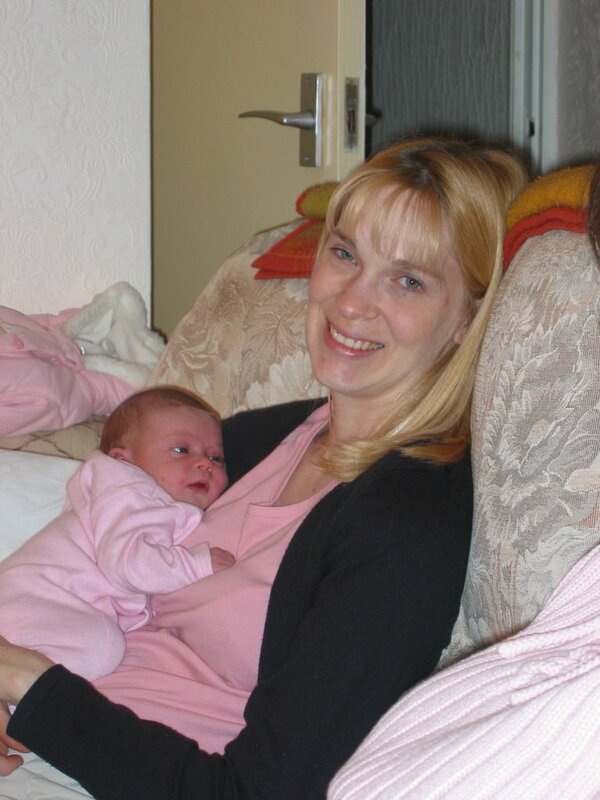 I know I've said this before, but aren't my girls just lovely? !